Bring a touch of natural beauty into your home or office with our Blooming Dish Garden! This lush array of live plants overflows its basket, rich with life! 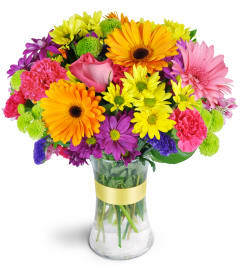 Consists of two blooming plants and three tropical plants which can be replanted and continue growing. 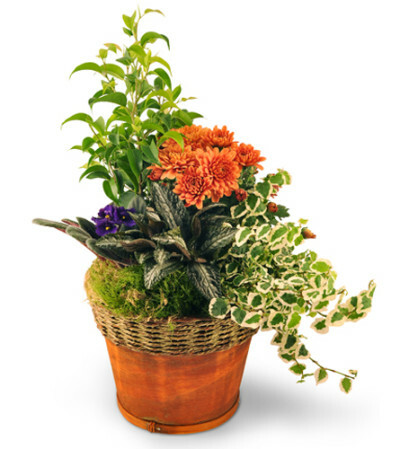 This miniature garden is the perfect gift to lift someone's spirits, and makes an excellent addition to a home or office! 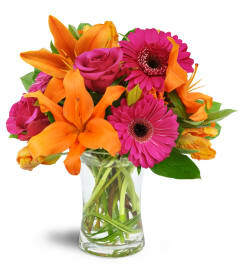 Two live blooming plants and two live tropical plants are delivered in a unique, earthy planter.